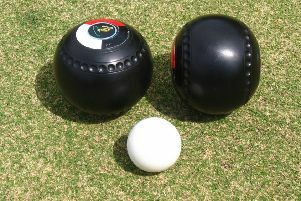 Edinburgh and Lothians competitors failed to shine in the playdown action of the gents’ Scottish Indoor Bowls Singles Championship, with none of the six challengers making it beyond the second round at Cumbernauld IBC. East Lothian’s Billy Mellors put up the best show with the 41-year-old reigning champion negotiating his opening tie with an impressive 21-4 victory in 13 ends against host club champion John Cowie. In the next round, Mellors was 12-3 up after eight ends against Paul Brown of Abbeyview but saw his opponent steadily fight back to close the gap to 16-15 after 17 ends. Mellors arrested his slide with a single to 17 but was unable to impose himself further as Brown toppled the champion with a storming 2, 2, 2 finish to win 21-17 in 21 ends. East Lothian had two bites at the cherry with junior cap Ewan Fallen surviving a 21-20 nail-biter in a 22-end prelim round battle against Jamie Mitchell of Berwickshire. Fallen’s campaign soon ended in disappointment, however, with a 1, 4, 3, 2, 1 collapse from 10-6 down sentencing him to a 21-6 exit in just 12 ends to Galleon challenger Cameron Wilson – a 21-18 victor over West Lothian IBC’s Commonwealth Games gold medal hero Neil Speirs in the prelim round. Speirs entered the scene as a title contender and, at 15-12 up on Wilson, looked set to deliver on his first test. However, a six-end barren spell saw him crossed 20-15 and he was out two ends later. Midlothian’s David Peacock captured the national title in 1996 and started this year with a runaway 21-5 win over Lawrence Torrie of Forfar in the prelim round. Peacock’s prospects in the first round looked grim at 14-8 down to Stuart Wyllie of Ayr but he crossed 18-17. However, it was his opponent that delivered the goods with a 1, 3 finish to win in 22 ends. Kevin Tennant carried the hopes of Bainfield and he showed up well at 11-13 before losing his prelim 21-13 to Alex Kennedy of Cowal. Mark Bonar made his debut in the event for Balbardie and faced a testing challenge against Mark Thurston of Turriff in the prelim round and, although 14-18 at one stage, made a 21-14 exit in 24 ends. The quarter-final results were: Brian Russell (Headwell) 21, Stuart Wyllie (Ayr) 12; John Fleming Jnr (Inverclyde) 21, Paul Brown (Abbeyview) 16; David McDonald (East Kilbride) 21, Eric Gallen (Aberdeen) 8; Martin Williamson (Ardrossan) 21, Robert Grant (Lanarkshire) 9. The semi-finals and final will be played at Paisley IBC over the weekend of January 23-24.